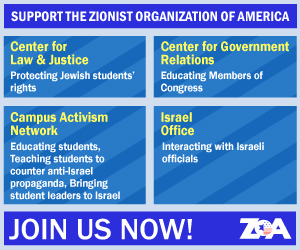 Zionist Organization of America (ZOA) has praised the Honduran Government for its decision to move its embassy in Israel from Tel Aviv to Jerusalem. The President of Honduras, Juan Orlando Hernández, told the American Israel Public Affairs Committee (AIPAC) Conference in Washington, DC, that it had made the decision to move its embassy to Jerusalem some months ago. Noting that there would be some opposition in Honduras to the move, President Hernádez said, “Those are anti-Israel and anti-U.S. 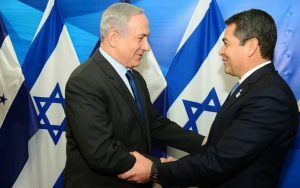 But we can survive, we can resist the enemies of Israel” (Benjamin Kerstein, ‘Heads of State: Honduras to Open Diplomatic Mission in Jerusalem, Romania to Move Embassy,’ The Algemeiner, March 24, 2019). Last year, President Trump recognized Jerusalem as Israel’s capital city and moved the U.S. Embassy from Tel Aviv to Jerusalem, a move that was subsequently followed by Guatemala and Paraguay, though the latter later revised its decision to relocate its embassy. 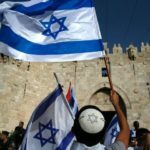 Brazil, Romania and some other countries have said that they intend relocating their embassies to Jerusalem. ZOA National President Morton A. Klein and Chair Mark Levenson, Esq. said, “The ZOA strongly praises President Hernández for moving the Honduran embassy to Jerusalem, which has never been a capital of any nation but Israel. “We are hopeful that other countries will follow the path forged by President Trump when he recognized Jerusalem as Israel’s capital last year and moved the U.S. Embassy to Jerusalem. “Other countries, like Brazil and Romania, have publicly spoken of their intention to relocate their embassies to Jerusalem, and still others have foreshadowed such a move. “These countries have rightly concluded that Mahmoud Abbas’ pro-terror, anti-peace Palestinian Authority (PA) is not interested in a genuine peace settlement, making irrelevant any excuse for further delaying of this just, legally sound and long overdue move which corrects the international anomaly of not maintaining embassies to Israel in Jerusalem, based on the politicized denial of Israel’s rightful authority in city. “There is no question that President Trump’s bold, original decision to relocate the U.S. Embassy to Jerusalem last year has served as the catalyst for other countries to act –– a useful reminder that America can play a transformative role in altering the diplomatic landscape in a way other countries simply cannot.